Microsoft is now rolling out build 14946 for PC and Mobile for fast ring insider members. The latest build brings few new features and improvements to Windows 10. Meanwhile, a new info regarding Windows 10 Redstone 2 internal build leaked. 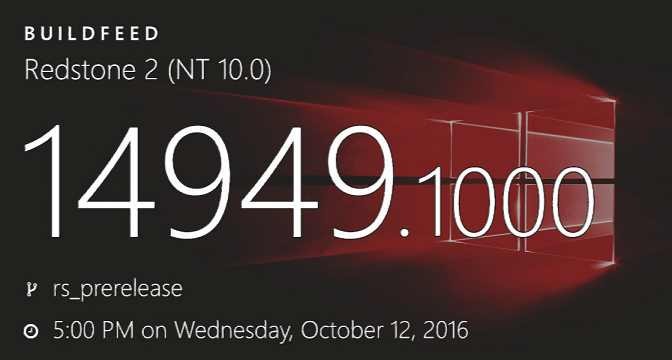 Windows Insider team is working on PC build 14949 and mobile build 10.0.14949.1000, which is compiled on October 12, 2016.